During the fall Norway was grazed with a James Bond book called "The great big book about James Bond". It is an unofficial compilation by Morten Cruys Magnus Sagen and Morten Andreas Steingrimsen. The book is big and has 360 pages. It is not common for smaller countries like Norway to have this kind of books written in their native tongue. But it is nice to hear that the book has been a huge success in Norway and sold really well. 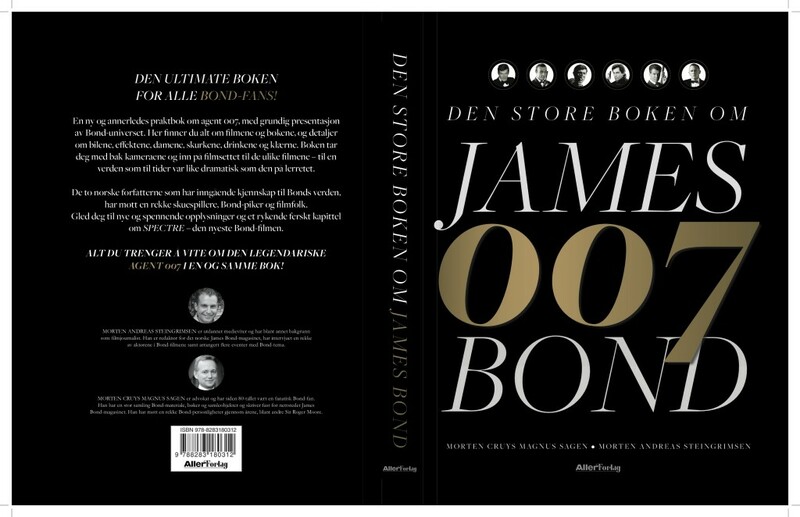 On the back of this book its says The ultimate book for all James Bond fans. 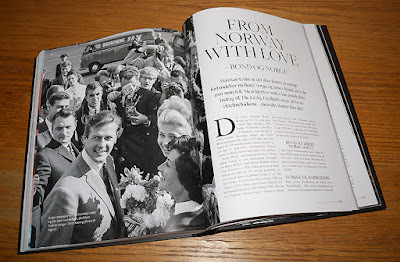 An let me just say that I do not speak Norwegian but this book is actually worth having for the pictures alone. This book contains some pictures I have never seen during my 25 years of collecting. See pictures below for some rare pictures. 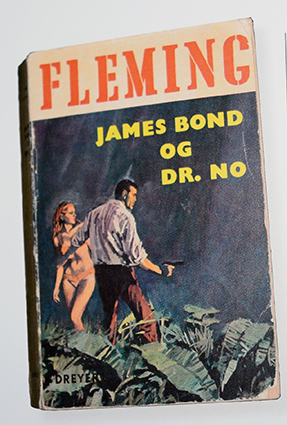 The book also has a lot of Ian Fleming pictures and covers for the James Bond books in Norway. These books are hard to find on their own so it was nice to see these rare beauties. 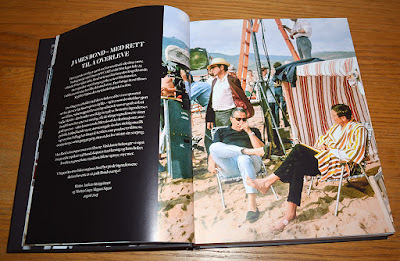 The book contains a foreword by Martine Beswick who appears in both From Russia with Love and Thunderball. Then the chapters that are richly documented with pictures are as follows. 5. 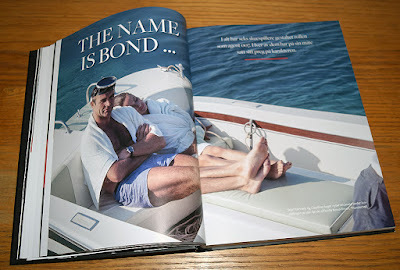 The name is Bond... (bios of the James Bond actors). 6. Shaken but not stirred bios on each James Bond film including SPECTRE. 16. They almost became Bond. I need to be clear that this book is not in English but in Norwegian. 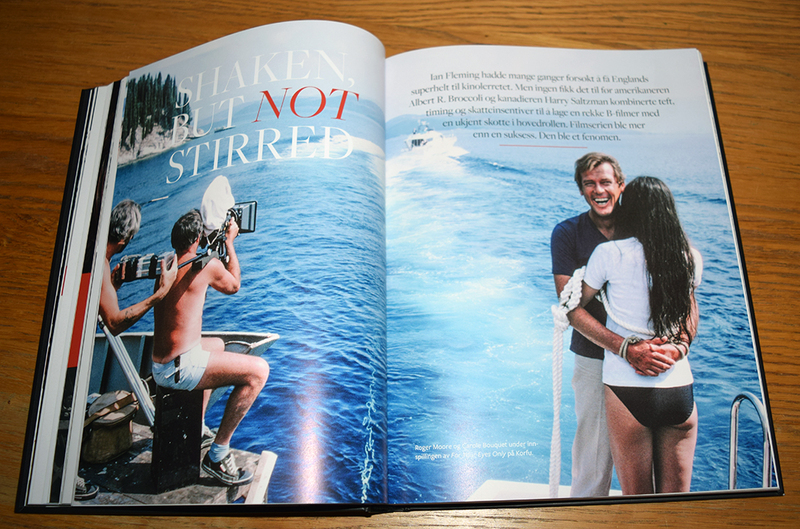 But I still will enjoy this book thanks to all the great pictures and I do believe you will do the same. 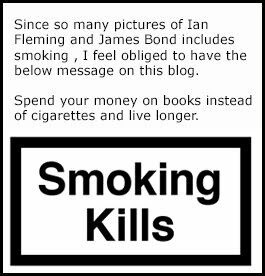 The cheapest way to order this book would be to go to the Adlibris webpage were the book cost £22. Or you might be able to contact Morten Andreas Steingrimsen on facebook to buy a copy direct from one of the writers.